For millennials like me Jurassic Park holds a special place in our hearts. The first movie was mind-blowing – for the first time ever Dinosaurs really came to life. Yes there were dinosaurs in movies before but there was nothing like it – they were living breathing dinosaurs on our screens – it was literally awesome – as in “awe-inspiring.” I think that was the appeal of the first movie – these creatures – those shots – were awe inspiring. The first time you saw the brachiosaurs you couldn’t help but have your jaw drop – it was your first glimpse a dinosaur – it was a taste of what Jurassic Park (the park, not the movie) was all about. Then there was going through the gates of the park – a true woah moment. And of course – there was the T-Rex. The tension of seeing the water ripple, the terror of it smashing through the glass of the Ford Explorer, and the raw power of its roar. Rarely has a movie made the audience feel like they were facing something truly beyond us. All these feelings I’m describing are what made Jurassic Park – and they are feelings that haven’t been present in any of the other two movies (except for maybe the RV scene in Lost World). The point is, none of those movies have been able to capture the awe factor which made the movie what it was. 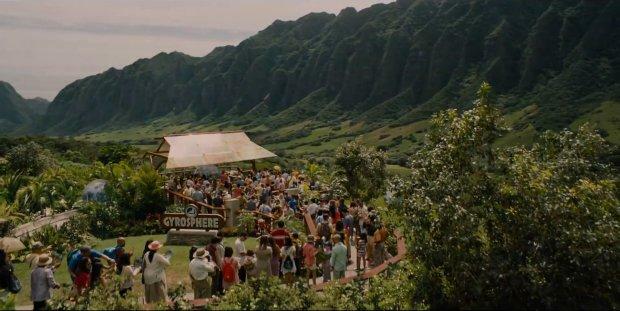 Jurassic World however comes really close to recapturing the magic of Jurassic Park. 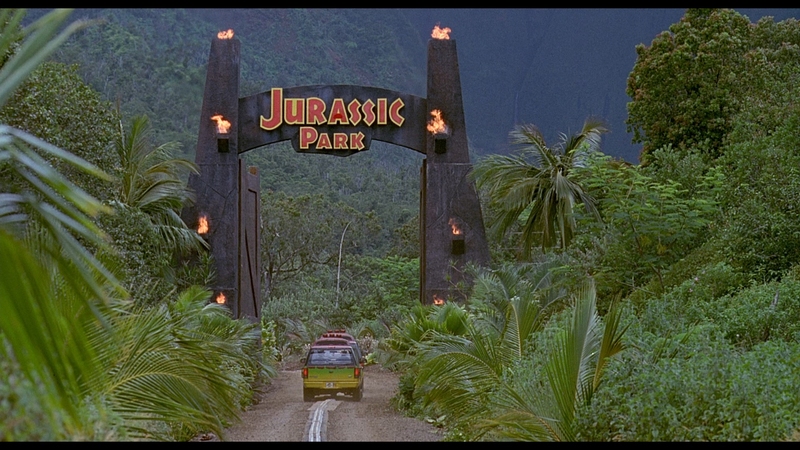 Jurassic World comes awfully close to re-capturing the awe factor of Jurassic Park. Getting introduced to the park – and seeing all the attractions. The movie does a great job of setting up the park. And it makes you think – man, I would love to go there! For a Jurassic Park buff like me it was like a dream come true seeing a functional park. The Dinosaurs – part of the magic of the first Jurassic park was that it didn’t use too much CGI, it was mostly really well made puppets. That’s why it didn’t feel “fake.” The dinosaurs in this movie feel real. But most importantly, when you see the dinosaurs there is that awe-factor present. There is that numinous feeling present in this movie once again. And, oh, there are some really cute baby dinosaurs too. Your heart will melt when you see the babies! The Visuals – visually it’s a stunning film. Remember how you felt when they landed the helicopter? Or when you saw the lake scene near the beginning of the first one? Or the shot of the pterodactyls flying next to the helicopter? Yea – its that kind of beutiful. And the cinematography is spot on. The locations are beautiful. The whole thing is just beautiful. That is probably because they filmed it on real film instead of digital. 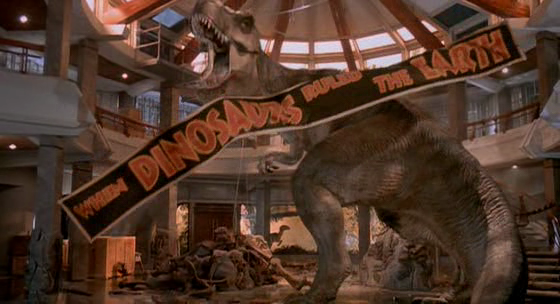 The Homages to the original Jurassic Park – attractions named after John Hammond, a book by Ian Malcolm, a guy wearing an original Jurassic Park T-shirt, the banner, the original gates to the park, even one character making a come back; all these things have a nostalgia factor built in that remind you of how much you loved the first one. But what I really loved – and don’t worry I won’t spoil anything – are the homages to certain shots and angles from the first movie that were iconic. The Ford Explorer scene, the sick triceratops, the galloping gallamiumuses, the T-Rex chasing the flare, the T-Rex vs. raptor fight are all re-worked (not in a copying the original type way) but in new ways which pay honor to the first movie. All this to say, movie was a ton of fun, I will probably see it a few more times (and definitely in IMAX 3D). 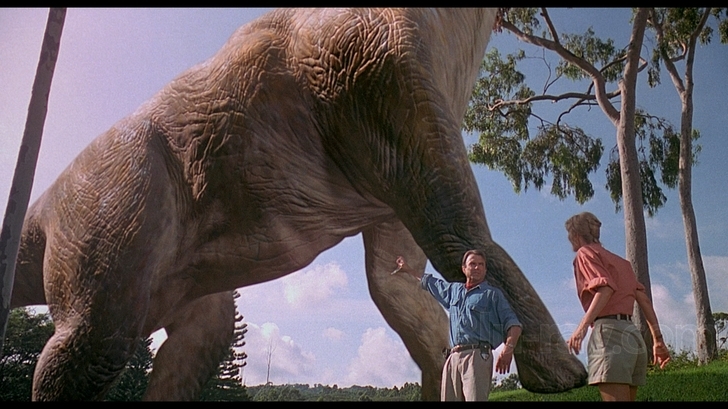 In a post-Jurassic Park world – it’s the only dinosaur movie that has come close to capturing the awe-factor of the first movie. And in a world where every movie is trying to blow their audience’s minds with epicness – to say that my mind was genuinely blow throughout and I had my jaw drop many times throughout the movie. But more importantly – At the end of the day, it made me feel like a kid again. I felt like the wide-eyed 6 year old watching Jurassic Park for the first time. And to say that this movie can create those sorts of feelings – that is saying a lot.